Change management is no longer a term that denotes only operational improvements, cost efficiencies and process re-engineering. Change management has become a much bigger, more interwoven part of the overall business fabric – an embedded leadership requirement that plays into everything that we do, every day, and how we go about getting things done, regardless of hierarchy or rank. Change is the new normal for leadership success and all leaders must accept this fact. In today’s business reality the level of complexity and the increased rate of change cause challenges for many leaders. Motivating people to change direction, building new strategies, transforming business models, and adopting new ways of collaboration. Quite a challenge! #1 – Where are we? #2 – Where do we want to go? #3 – How ready are we to get started? #4 – What practical steps do we need to take? #5 – How do we manage the journey? #6 – How do we keep moving forward? #7 – How do we avoid mistakes? How to prepare an organization for change?What questions to ask before embarking on any organizational change? Deciding what to change is one thing. Making changes stick is another. To improve your odds, use this change management checklist. 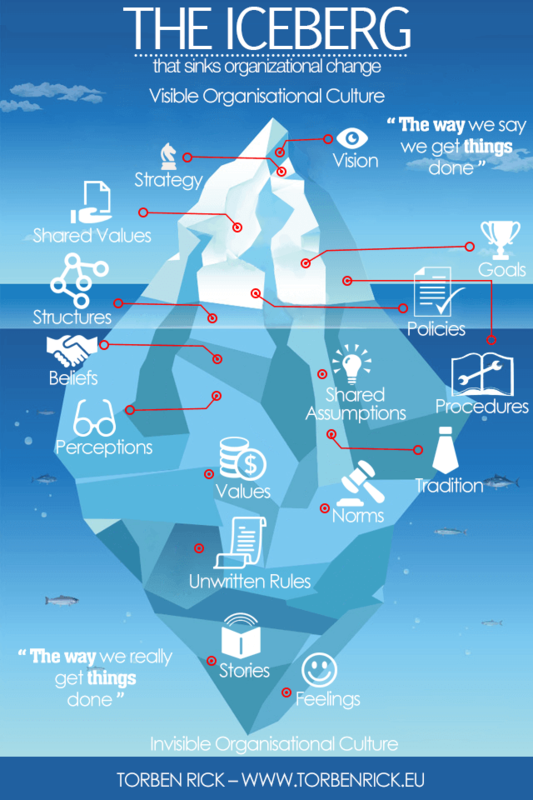 Some aspects of organizational culture are visible on the surface, like the tip of an iceberg, while others are implicit and submerged within the organization. Because these ingrained assumptions are tacit and below the surface, they are not easy to see or deal with, although they affect everything the organization does. Change is not the problem – resistance to change can be a problem! Expecting resistance to change and planning for it from the start of your change management progamme will allow you to effectively manage objections. Understanding the most common reasons people object to change gives you the opportunity to plan your change strategy to address these factors. 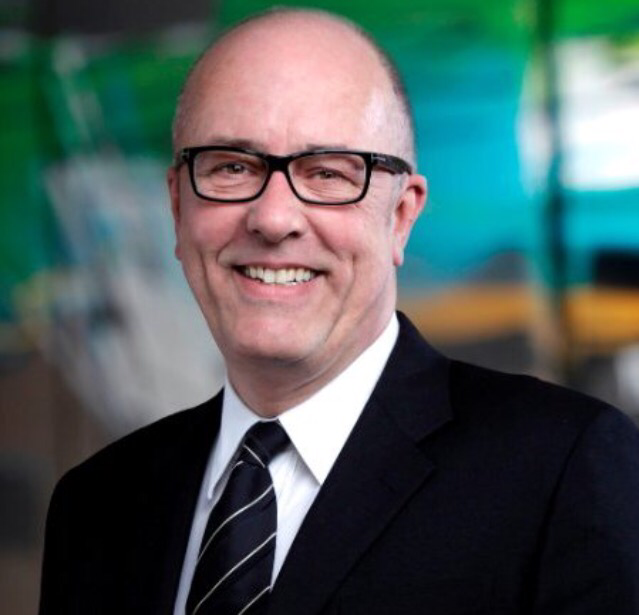 Today’s organizations are constantly under pressure to execute change. Nearly 70 percent of changes fail, by some estimates, resulting in financial loss and employee cynicism. Change management, process improvement, new directions – call it what you wish, but avoid these common mistakes! Social media can play a vital role in how a company goes about its change management decisions – it can be an important “vehicle” to facilitate better and faster change management. Experienced senior executive, both at a strategic and operational level, with strong track record in developing, driving and managing business improvement and development, change management and turn-around. International experience from management positions in Denmark, Germany and Switzerland. Significant board experience through a number of professional board roles.